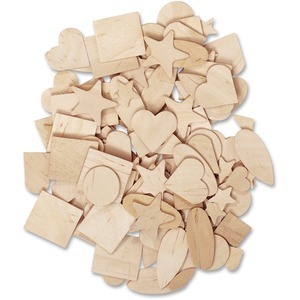 Assortment includes contains a variety of natural wood shapes and designs. Paint them with your favorite color or keep them natural. Decorate them with crafts or use them to decorate bigger projects.